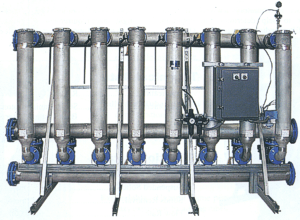 Durco Filters Tubular Backwash Filter Systems are designed for continuous operation with high flow rates in applications with low solids loadings (<200ppm typical) and easily filterered, granular solids. Tubular backwash filters often replace bag and cartidge filters. These filters use permanent, self-cleaning media which eliminate the costs of disposable bags and cartridges. Fully automatic (optional) cleaning eliminates operator involvement and cost. 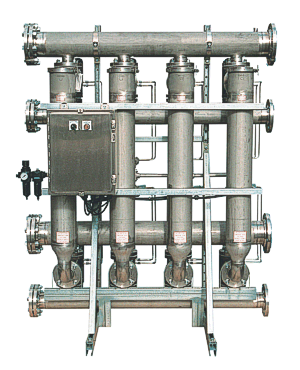 When continuous/uninterrupted flow is required, tubular backwashing filters allow full forward flow while cleaning. 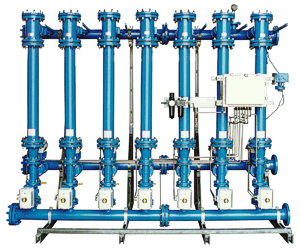 External Backwash - utilizes fluid other than filtered liquid for element cleaning.